On Feb 29, 2016, Eden Carlson drowned in a swimming pool. She was under water for 15 minutes and technically died for nearly two hours. Miracle after miracle has brought her back to life. 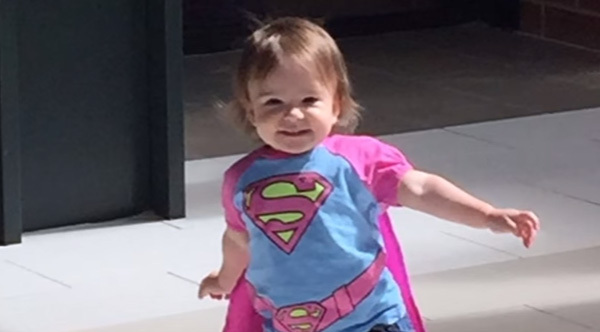 On the day of the drowning, Eden’s mother found her, pulled her out and performed CPR until doctors at her local hospital in Fayetteville, Ark., were ultimately able to revive her two hours later. Her lack of oxygen resulted in a severe brain injury, leaving the child unable to speak, walk or respond to verbal cues. Eden was in the hospital for 48 days receiving critical care before being discharged. 55 days after the accident, doctors began using a series of oxygen treatments to try and help heal Carlson’s brain. To “wake up” her brain, physicians gave Eden oxygen at a pressure higher than the general atmospheric pressure — increasing the amount of oxygen in her blood and repairing her damaged tissue in a sealed, pressurized hyperbaric chamber. Eden was able to walk and speak even better than before the accident happened. She was markedly improved in all of her neurological, motor function and cognition tests. An MRI scan 162 days after the incident showed that the child still has mild residual brain injury but the cortical and white matter atrophy she suffered was nearly completely reversed. Watch Eden’s miraculous recovery in the video below.